Firm: Lipcon, Margulies, Alsina & Winkleman, P.A. Charles R. Lipcon graduated with his J.D. from the University of Miami in 1971. Since then, he has built a reputation representing victims of cruise line sexual assaults, wrongful death claims, and personal injury matters. Mr. Lipcon has written multiple books, including his latest, “Unsafe on the High Seas," and has earned a Martindale-Hubbell rating of AV due to his extensive experience and professional standards. Charles Lipcon is also involved in numerous associations outside of the Florida Bar including American Association of Justice and the Florida Admiralty Trial Lawyers Association, to name a few. 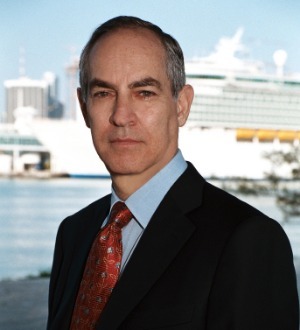 His experience and authority in the industry has led many injured cruise victims to seek his counsel and is frequently quoted in various newspapers and publications.